We make quite a few organic herbal remedies here including tinctures, salves and herbal syrups. Today we made more Organic Elderberry Syrup using organic dry elderberry. *One of the benefits of making syrup is that it's ready to consume in a few minutes to an hour compared to making tincture which can take 3 to 8 weeks to "brew." "Health benefits of the elder plant include naturally improving colds, the flu, sinus issues, nerve pain, inflammation, chronic fatigue, allergies, constipation and even cancer. (2) When used within the first 48 hours of onset of symptoms, the extract has actually been found to reduce the duration of the flu with symptoms being relieved on an average of four days earlier. (3) During the 1995 Panama flu epidemic, the government actually employed the use of the elderberry to fight the flu. It gets better. When it comes antioxidant power, elderberry is higher in flavonoids than blueberries, cranberries, goji berries and blackberries. (4) I’m sure you’re getting the picture that this medicinal berry is a real powerhouse for good health. Let’s examine exactly why." 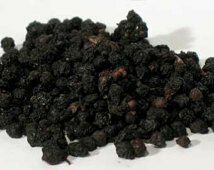 Elderberry syrup can be used to flavor other homemade concoctions, as an herbal tonic or even drizzled over toast or yogurt. That's it! You just made homemade elderberry syrup! Store in the fridge and take daily for its immune boosting properties. 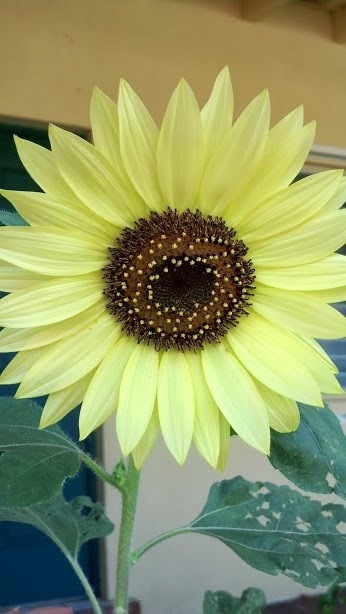 I hope you have enjoyed another educational article from Mary's Heirloom Seeds! First let me start by saying that there is no quick fix or perfect concoction that works for everyone to boost Metabolism. There is no magical "cure." What I have learned along my journey is that incorporating different herbs, herbal remedies and making simple changes can have a positive effect on your health. For people with underlying health issues, it is best to ask your doctor or health practitioner before starting any new herbal supplementation. In a study about Hawthorn, researcher found "There was a significant change on the weight loss, BMI change, blood pressure decrease, glucose, cholesterol, trigliseride, LDL, HDL and cholesterol/HDL after consumption of Hawthorn vinegar"
The antioxidants in hawthorn are thought to boost heart health by strengthening blood vessels and stimulating blood flow. Keep in mind that scientific support for the potential benefits of hawthorn is limited. Hawthorn is also used for digestive complaints. 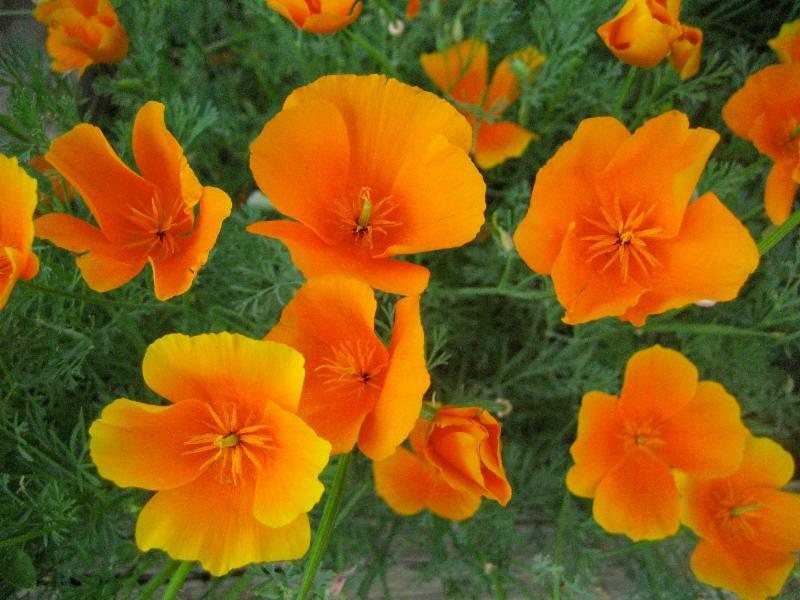 It is also used to reduce anxiety, as a mild sedative and for menstrual problems. Ginger is well recognized for its thermogenic qualities, meaning that it tends to slightly increase body temperature as it's being digested. From progressive health "Ginger can improve digestion by increasing the pH of the stomach and stimulating the digestive enzymes. Because ginger also has a high fiber content, it increases gastrointestinal motility. The combination of these two effects means that essential nutrients are absorbed quickly while the non-essential foods that cause bloating and constipation are excreted quickly." From our previous article Boost Your Health with Organic Herbs, "Ginger (Zingiber officinale) has scientific backing as an anti-nausea agent. It may offer other benefits to those stricken with infections diarrhea. Alcohol extracts of ginger are active against bacteria that infect the intestinal tract (Salmonella typhimurium, Escherichia coli, Vibrio cholerae Pseudomonas aeruginosa, Helicobacter pylori), skin and other soft tissues (Staphylococcus aureus), and respiratory tract (Streptococcus pyogenes, Streptococcus pneumoniae, Haemophilus influenzae). 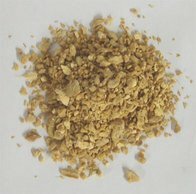 Ginger has antifungal activity against the yeast Candida albicans. It also discourages intestinal worms. Because studies have shown that heat deactivates the antibacterial effect, it may be best to consume ginger raw, or in tincture or capsule form." A 2012 review of several recent studies concluded that the use of cinnamon had a potentially beneficial effect on glycemic control. One study published in 2009 found that a 500 mg capsule of cinnamon taken twice a day for 90 days improved hemoglobin A1C levels — a reflection of average blood sugar level for the past two to three months — in people with poorly controlled type 2 diabetes (hemoglobin A1C levels greater than 7 percent). For those of you looking to boost your metabolism to lose weight, cinnamon might help! 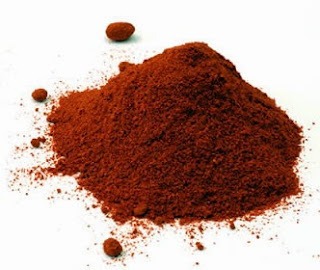 Bonus, Cinnamon contains large amounts of highly potent polyphenol antioxidants. Cinnamon has been shown to lead to various improvements for Alzheimer’s disease and Parkinson’s disease in animal studies. Cinnamaldehyde, the main active component of cinnamon, may help fight various kinds of infection. Cinnamon oil has been shown to effectively treat respiratory tract infections caused by fungi. It can also inhibit the growth of certain bacteria, including Listeria and Salmonella. ***Not all cinnamon is created equal. *** The Cassia variety contains significant amounts of a compound called coumarin, which is believed to be harmful in large doses. Ceylon (“true” cinnamon) is much better in this regard, and studies show that it is much lower in coumarin than the Cassia variety. Capsaicin is the compound in cayenne peppers that gives it heat and boosts your metabolism. Capsaicin is found in the membranes of the cayenne inside the pepper. Capsaicin can also help aid in digestion, stimulate kidney function and help ease pain. From our previous article Boost Your Health with Organic Herbs, "Cayenne pepper's bright red color signals its high content of beta-carotene or pro-vitamin A. Just two teaspoons of cayenne pepper provide 47% of the daily value for vitamin A. Often called the anti-infection vitamin, vitamin A is essential for healthy epithelial tissues including the mucous membranes that line the nasal passages, lungs, intestinal tract and urinary tract and serve as the body's first line of defense against invading pathogens." Turmeric has been reported to increase metabolism by increasing bile production within the body, as well as lowering blood sugar levels. More than 13 other peer-reviewed studies have also reached similar conclusions, finding that turmeric intake is directly associated with increased healthy fat loss and decreased insulin issues. Turmeric has been used in both Chinese and Indian medicine for thousands of years. Western researchers are finding that turmeric may be useful in lowering inflammation, fighting infections and specific cancers, treating liver disease, healing skin wounds and beneficial in treating digestive issues. Disclaimer: Information on this website is based on research from the internet, books, articles and studies. Statements in this website should not be considered as medical advice. These products are not intended to diagnose, treat, cure or prevent any illness or disease. For diagnosis or treatment consult your physician. These statements have not been evaluated by the food and drug administration (FDA). Herbal Remedies and Special Offers. Check it out! Most orders place Monday-Thursday ship within 48 hours, except for Holidays. It's been another busy week with questions ranging from Organic Plant food to growing and using herbs. We've added several new seed combo packs including the Back to Basic Homestead pack, FALL Garden Pack and the Fall SUPER Garden pack. Today we're adding another! 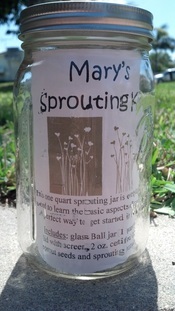 We also have a great deal on Mary's Organic Sprouting Kits. There are many ways to use herbs for medicinal purposes and one of the is in a tincture. Special Offers this week are perfectly timed! It's best to make these immune boosting herbal remedies before everyone around you starts to get sick!!! 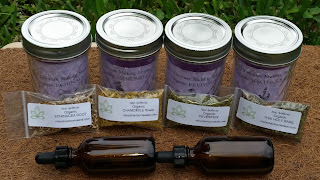 Since we added the Back to Basics Homestead pack, we decided to offer 2 Homestead Herbal Packs. 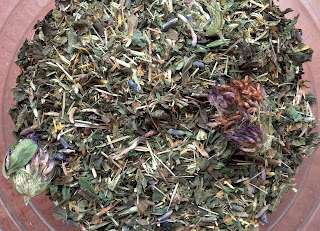 Arnica, Thai Basil, Calendula, Comfrey, Echinacea, Fennel, German Chamomile, Lavender, Lemonbalm, Mugwort, Oregano, Peppermint, Rosemary, Sage, Toothache Plant and Yarrow. Choose from 2, 8 or 16 ounces of Organic Seeds with your Sprouting kit AND SAVE! Save on 1, 2 & 3 pound options! GET FREE SEEDS WITH YOUR PURCHASE! 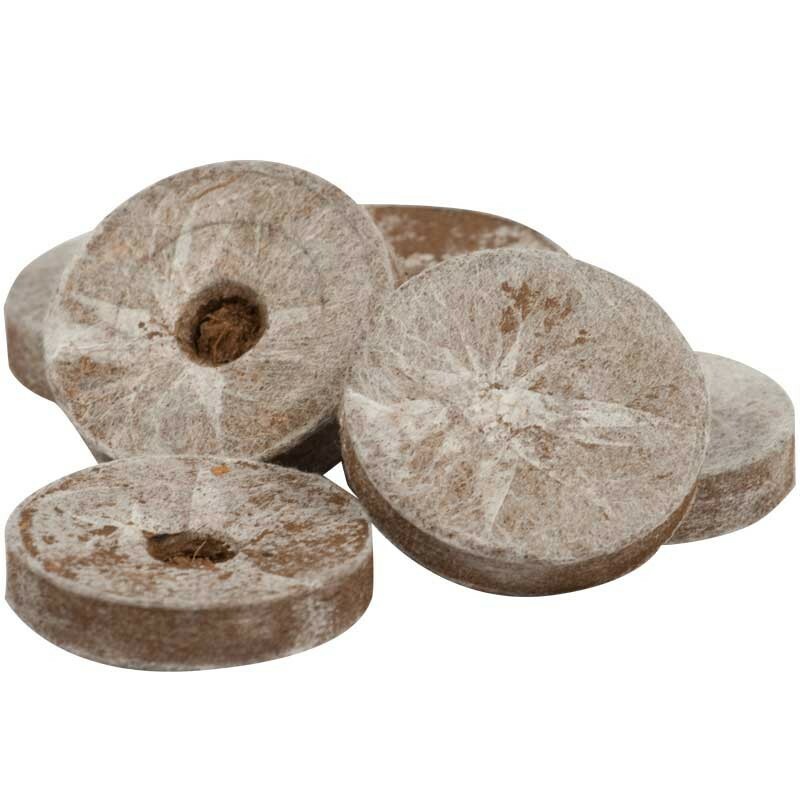 Get and EXTRA pack of free seeds when you purchase Coconut Coir Pellets! An herbal tincture is simply an herbal extract. Herbal remedies have been used throughout history to treat illnesses and ailments without "modern medicine" and pharmaceuticals. Tinctures are easy to make, home remedies. If properly prepared and stored, your tincture will last indefinitely. What are the benefits of Thai Holy Basil? Basil, especially as an extract or oil, is known to have exceptionally powerful antioxidant properties that can protect the body from premature aging, common skin issues, age-related problems and even some types of cancer. The herb also contains the flavonoids, orientin and vicenin, which are plant pigments that shield your cell structures from oxygen and radiation damage. Both fresh basil and basil oil have strong antibacterial capabilities. In fact, basil has been shown to stop the growth of many bacteria, even some that had grown resistant to other antibiotics. Basil can be applied to wounds to help prevent bacterial infections. To get started you'll need: A clean jar with a lid, vodka or everclear, herb(s), measuring cups and/or scale and labels. If you purchase a DIY Tincture Kit from Mary's Heirloom Seeds, the herbs, jar with a lid. labels and dropper bottle are all included. All you need to do is measure out your menstruum and combine! Let's get started making our Tincture! 1. Start with a cleaned and sterilized glass jar. Place organic Thai Holy Basil in your jar. 2. Measure out 3-4 cups of vodka or other menstruum and place inside your jar. 3. Place the lid back on your jar and mix thoroughly. 4. Label your homemade Tincture with the Date and Ingredients. 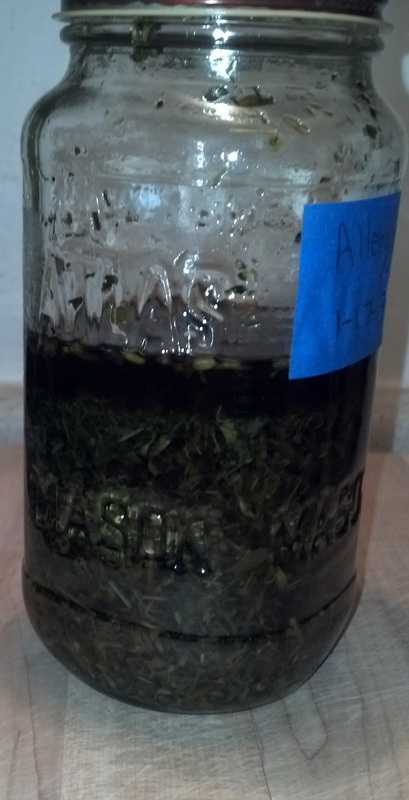 Start straining and consuming Basil Tincture after 4-6 weeks. I take approx 1/2 teaspoon up to 3 times daily for approx 3 weeks. Disclaimer: All information is intended for your general knowledge only and is not a substitute for medical advice or treatment for specific medical conditions. We cannot and do not give you medical advice. You should seek prompt medical care for any specific health issues and consult your physician before consuming any product(s). Just a few of my Homemade Tinctures! Mary's Heirloom Seeds. Our DIY Tincture Kits are a great place to start! What are the benefits of Feverfew? The word "feverfew" derives from the Latin word febrifugia, meaning "fever reducer." Feverfew is used most often today to treat migraine headaches. Feverfew has also be used for Asthma, Arthritis, Psoriasis, digestion and Menstrual cramps. Compact, spreading growth up to 3-feet tall with small yellow centered white daisylike flowers. If you purchase a DIY Tincture Kit from Mary's Heirloom Seeds, the herbs, jar with a lid, labels and dropper bottle are all included. All you need to do is measure out your menstruum and combine! 1. Start with a cleaned and sterilized glass jar. Place organic Feverfew in your jar. Start straining and consuming Feverfew Tincture after 4-6 weeks. I take 1/2-1 teaspoon of tincture in water as needed. Another recipe for alternative "medicine." For my allergy tincture I use a special blend from Mary's Heirloom Seeds DIY Tincture Kit. 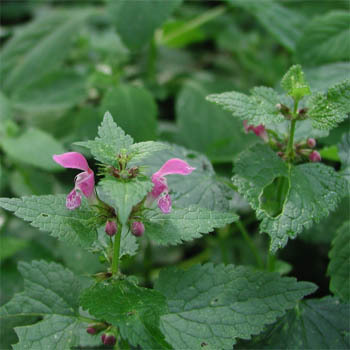 It is an herbal combination which can be used as a tea, infusion or tincture. Our DIY Allergy Kit include: organic Nettle leaf, organic Fennel seed, organic Lemongrass, organic Spearmint leaf, organic Eyebright, organic Calendula flowers, organic Peppermint leaf, organic Red Clover herb and blossoms, organic Lavender flowers, organic Blue Vervain, and organic Stevia leaf. 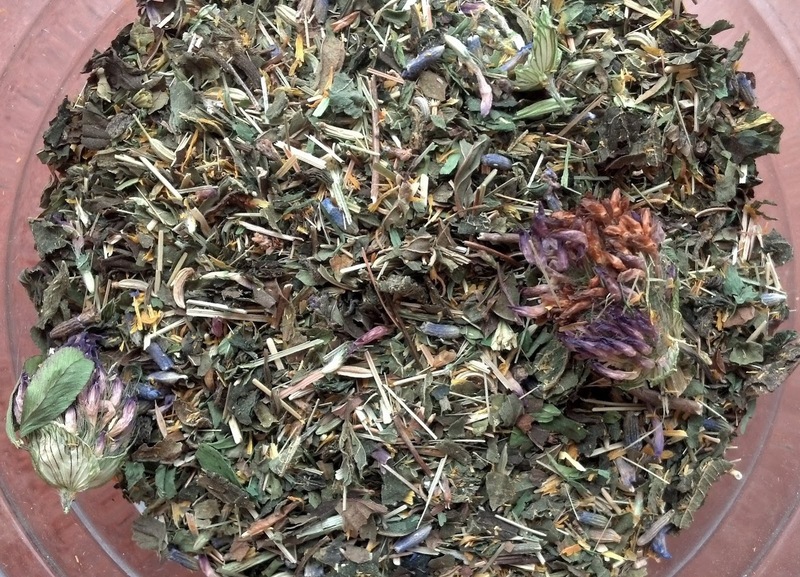 I won't get into the specific properties of each herb but I can tell you that, used as tea, it is wonderfully minty and works well for seasonal allergy relief. 1. Start with a cleaned and sterilized glass jar. Place organic Ginger in your jar. 2. Measure out 3 cups of vodka or other menstruum and place inside your jar. Tincture is ready in 4-6 weeks, strain out herbs and place in a darker jar or leave in a dark place (cabinet). "Flower Power" Herb Combo Pack - Check it out!!! To get started you'll need: A clean jar with a lid, Menstruum: ACV, vegetable glycerin, vodka or everclear, herb(s), measuring cups and/or scale and labels. Start straining and consuming Ginger Tincture after 4-6 weeks. I prefer to store strained tinctures in amber dropper bottles. I take approx 1/2 teaspoon up to 3 times daily as needed. Stay tuned for more DIY Tincture Tutorials. It's another beautiful day here. The air is cool and crisp. The sun is shining and life is good! In our house, we use tinctures first for every-day ailments. We have had such great success using herbal home remedies instead of OTC "stuff" so let's chat! There are many ways to use herbs for medicinal purposes and one is in a tincture. Other uses include consuming in food, salves, herbal vinegar and herbal oils, teas and even syrup. I thought I would start with Tinctures because it is quite simple and easy to use. An herbal tincture is simply an herbal extract. Herbal remedies have been used throughout history to treat illnesses and ailments without "modern medicine" and pharmacueticals. 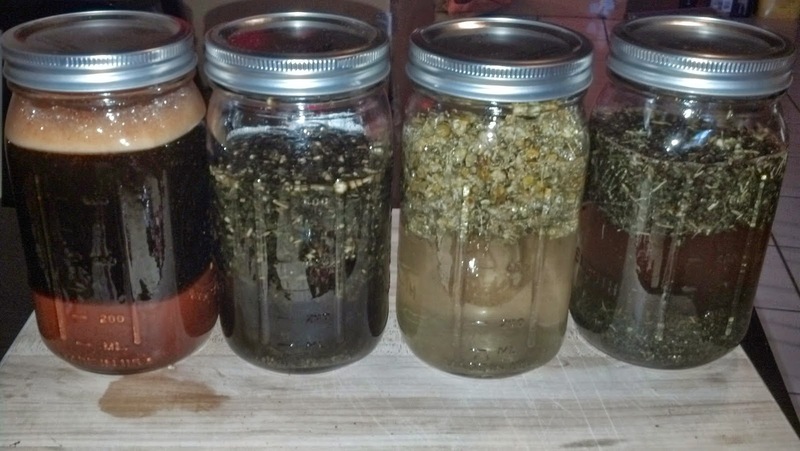 Tinctures are easy to make, home remedies. If properly prepared and stored, your tincture will last indefinitely. Now for the bottom line...saving money! If you look at your local "health food store" you will find tinctures. Most are $10-$40 per ounce. Online it is the same story plus shipping. Pictured is a special "kit" I put together to get started on your tincture. Earlier this month I purchased a large bottle of 100 proof vodka for $17. That's approx 59 ounces. 1-2 ounces of herbs and16-32 ounces of vodka and I still have more vodka left. HUGE savings!!! Plus, with the Tincture Kit you have the Jar, Strainer top and detailed Instructions to make more! Kits ship within 48 hours (except weekends and holidays) via Priority Mail. Not sure about the alcohol content? The alcohol in a tincture can be evaporated out by adding the drops to almost boiling water and swirling until cool. Although a vegetable glycerin or Apple Cider Vinegar based tincture has a short shelf life, it can be used instead of alcohol for those who prefer an alternative. Make your own Tincture using Mary's Organic DIY Tincture Kits. 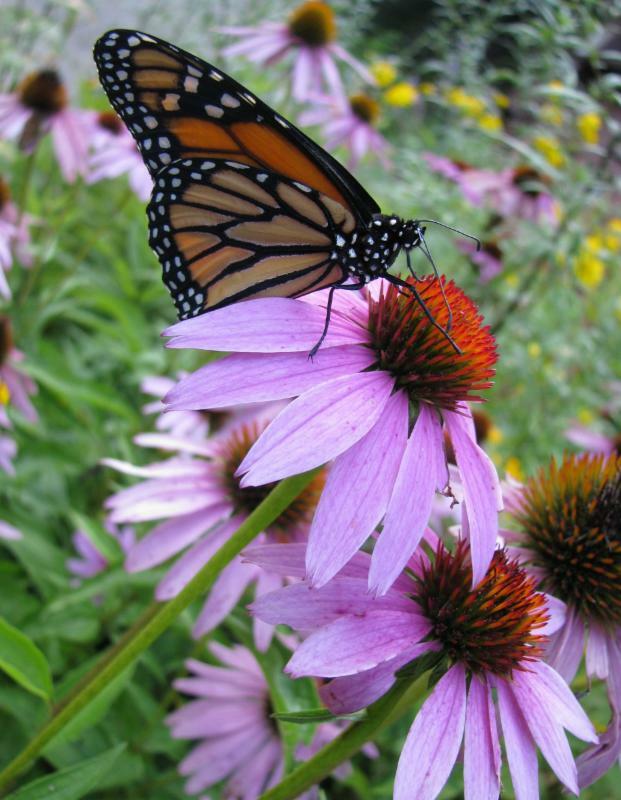 So far, we have shared tutorials for Echinacea Tincture and Getting Started. Every Tincture Kit purchased thru Mary's Heirloom Seeds includes detailed instructions. Tinctures are simple to make and as we've shown above, much less expensive compared to store-bought. 1. Start with a cleaned and sterilized glass jar. Place organic Echinacea in your jar. Start straining and consuming Echinacea Tincture after 4-6 weeks. I prefer to store strained tinctures in amber dropper bottles. There are many ways to use herbs for medicinal purposes and one of the is in a tincture. Other uses include consuming in food, salves, herbal vinegar and herbal oils, teas and even syrup. I thought I would start with Tinctures because it is quite simple and easy to use. Our DIY Organic Tincture Kits include everything but the liquid! 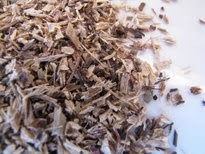 Types of Menstruum is general vodka, when making a true herbal tincture. Vinegar can be used, it can be safer than alcohol, but is less effective at leaching out the medicinal components of the plant. When tincturing dried herbs, water is sometimes mixed with the vodka or alcohol. When tincturing fresh herbs, I always use high-proof alcohol. How long will an Herbal Tincture last? First, if you choose to use Vinegar, Apple Cider vinegar or Vegetable glycerin, your tincture will have a shelf life of approximately 6-8 months. All tinctures should be stored in a cool, dry, dark place. A kitchen cabinet away from the oven or stove works perfect. According to my research, properly made tinctures with high-proof alcohol do not go bad. Again, if prepared and stored properly. The best way to use liquid herbal tinctures is to put the suggested amount in a glass of water, tea, or juice and drink the entire contents. You can just consume straight but some tinctures can be a little stout or spicy (like the cayenne). Single herb tinctures use only 1 herb variety. Combination tinctures are a blend of specific herbs used for a specific purpose. I've made over 15 types of herbal tinctures and I continue to make new varieties every month. Each herb or herbal combination can be used for different ailments or health boosting properties. 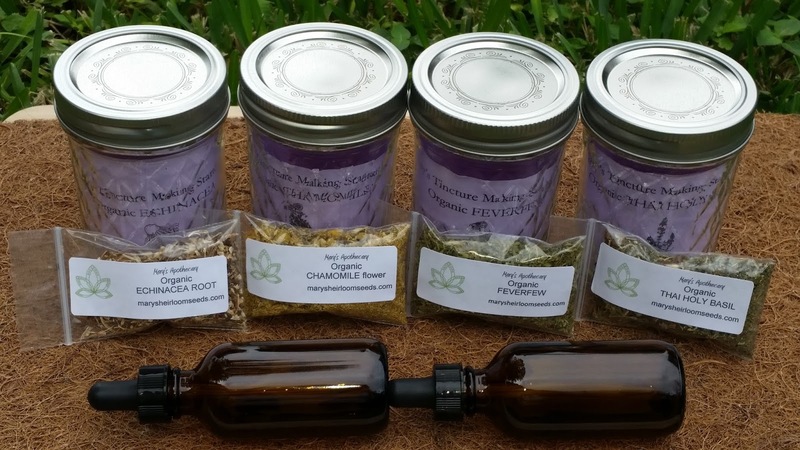 Have you seen our Organic DIY Tincture Kits? Stay tuned for herb-specific Tincture information including recipes!